The Blitz's very own Tom Slick has a new book out! 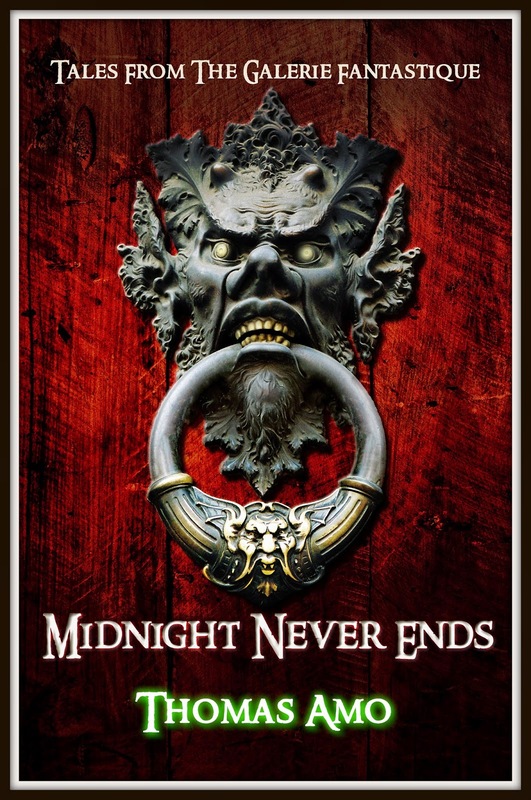 It's called, "Midnight Never Ends" and it's a horror anthology! Remember Rod Serling's Night Gallery? Well, that is where his inspiration came from! Four short stories that all deal in the subject of death. Two things made the show, Night Gallery, spooky to me. One was Rod Serling and the second were the paintings. Tom Wright's work gave each episode that extra chill to it. Add to that, Rod's resonate voice, and you have all the ingredients for a perfect evening of scares. I was very fortunate to work once again with Indonesian artist, Jeannifer Marciella Soganda. She was brilliant at capturing the style of the Night Gallery paintings. So each story has its very own original canvas.